Good news for travellers heading for Rio de Janeiro. 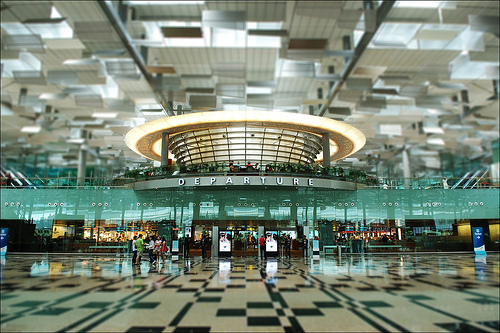 The city’s main international airport, Aeroporto Internacional Tom Jobim (Galeão) has been bought by the company that operates the award winning Singapore Changi Airport (photo), in partnership with the Brazilian construction company Odebrecht. The concession is for 25 years, and the new group promises some quick fixes for the aging airport before a major investment in improving facilities at the airport. The company responsible for operating Zurich and Munich airports, in partnership with Brazil’s CCR, has bought Belo Horizonte’s Confins airport, which brings to a total of five the major Brazilian airports privatised by the government. The other three being Guarulhos and Viracopos in São Paulo, and Brasília. This entry was posted in Brazil, Rio de Janeiro and tagged Belo horizonte, Brazil, Rio, Rio de Janeiro by Critical Divide. Bookmark the permalink.